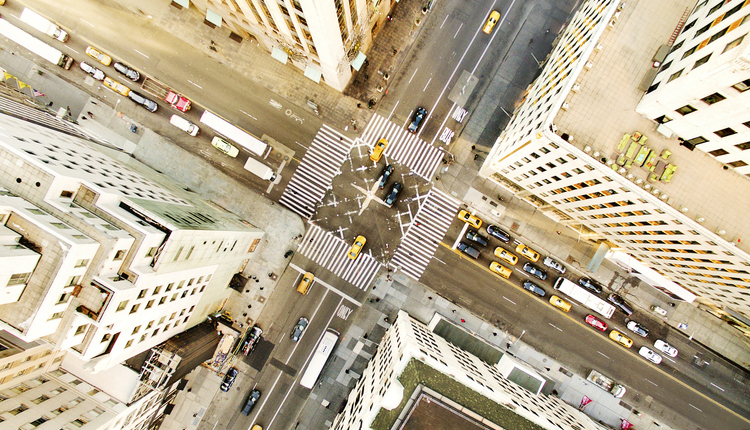 As almost every shipper knows by now, UPS recently announced it will also be changing its dimensional pricing rules in a not unexpected move closely following a similar change from FedEx. 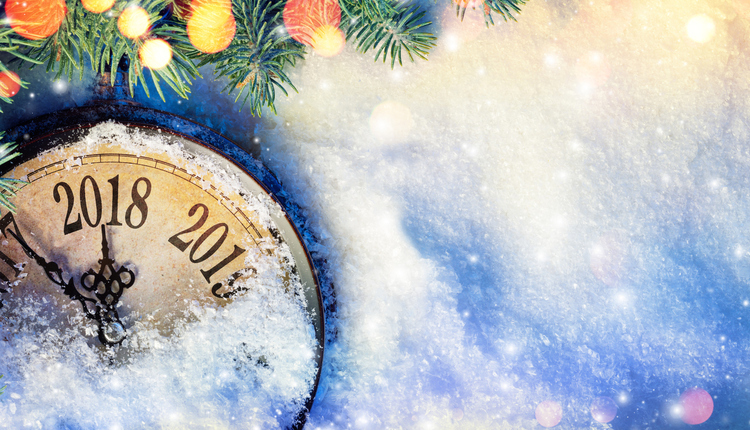 Effective January 8, the dimensional divisor will be reduced from 166 to 139 for all packages over one cubic foot, or 1728 cubic inches. Packages below this threshold will continue to be subject to the current dimensional weight factor of 166. As a quicker refresher, the parcel carriers multiply a package’s length, width, and height, then divide by a dimensional divisor and round up. Carriers like FedEx and UPS then charge the higher of the actual weight or the dimensional weight. 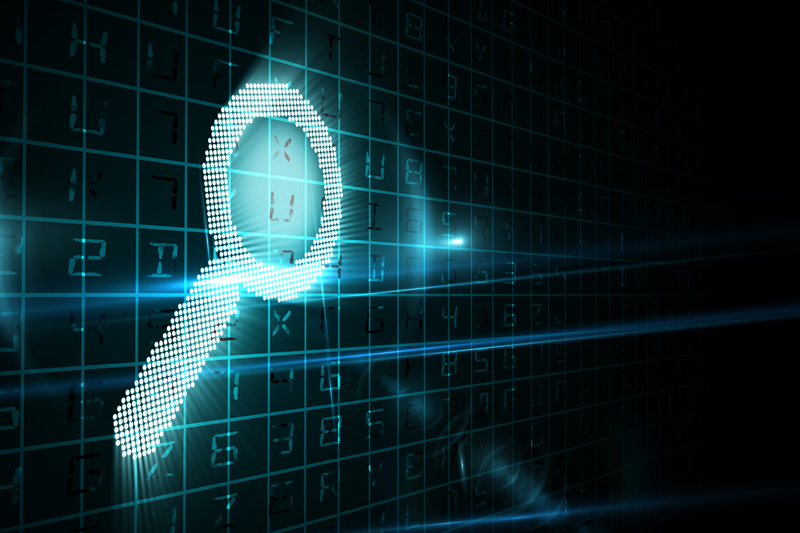 The higher the dimensional divisor, the less of an impact it will have on pricing. The lower the divisor, the greater the impact. This change will certainly increase the actual price hike felt by customers with less dense, large packages. 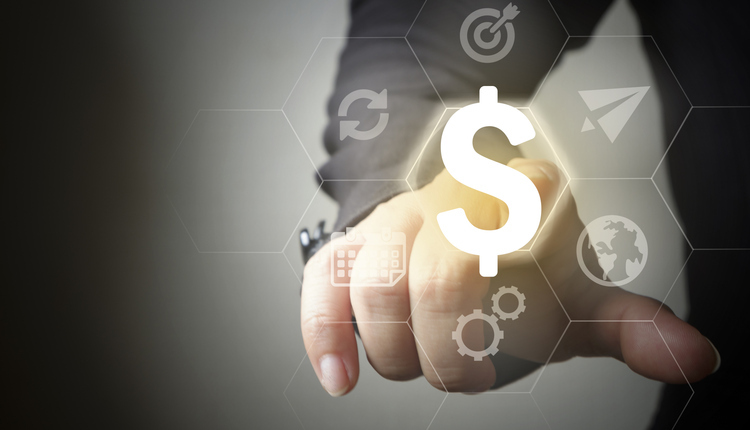 In this article, we will exemplify potential price increases by using various sample box configurations and shipping scenarios. 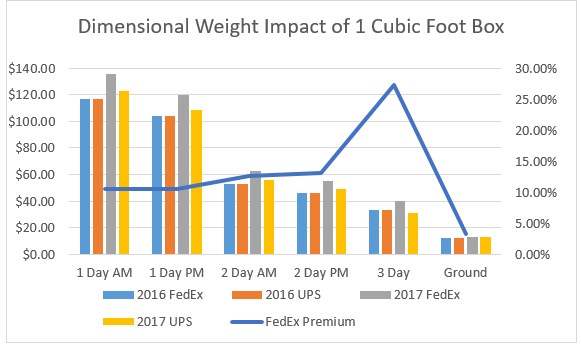 The table below illustrates significant increases in billable weights for UPS packages over one cubic foot, and for all FedEx packages. Note that customers with custom dimensional weight factors in their contract will not immediately be impacted by the change. Fig 1. 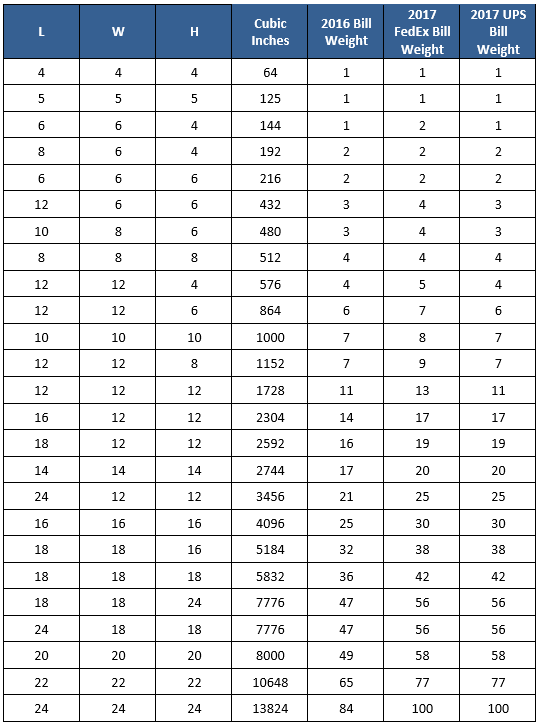 Top 25 Box Sizes and minimum billable weights by dim divisor. We’ll now consider a few examples. 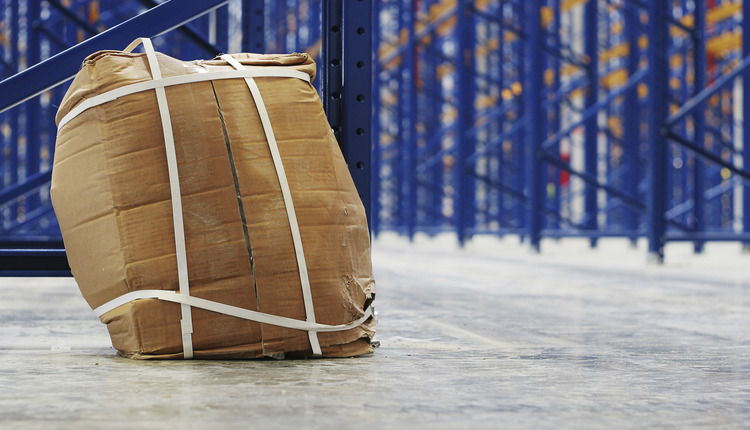 Consider a UPS Zone 5 shipment that weighs 15lb and measures 18x12x12, or 2592 cubic inches. Beginning January 2nd, this box will be billed at 19lb, an increase of 3lb over the 16lb bill weight based on 2016 rules. At list prices, the net increase on this package ranges from 8.48% to 20.17%, which of course much higher than announced “average” rate increases. Fig 2. 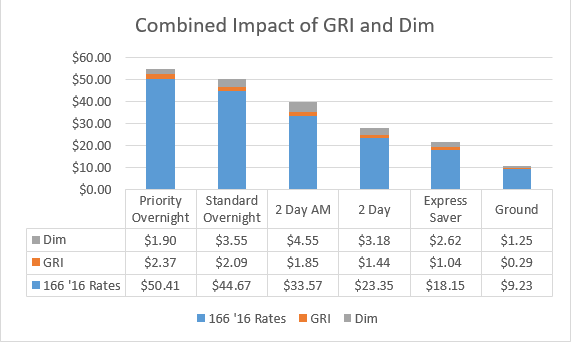 Combined Impact of GRI and Dimensional Changes at List Rates. FedEx, Zone 5 18x12x12. Let’s consider the same package, with hypothetical discounts for a mid-sized shipper. Fig 3. Sample discounts for a mid-sized shipper. Fig 4. 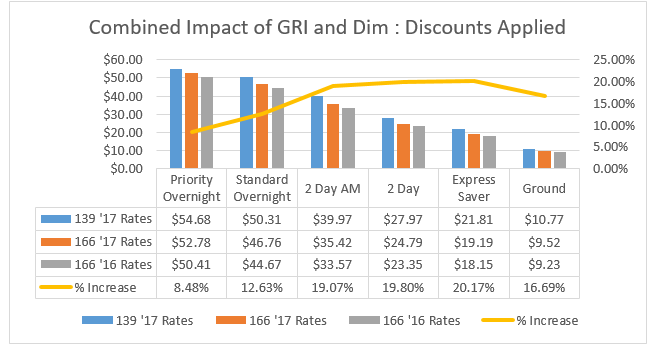 Combined Impact of GRI and Dimensional Changes With Discounts. FedEx, Zone 5, 18x12x12. Applying discounts has reduced the dollar amount, while the percentage price increase remains the same. 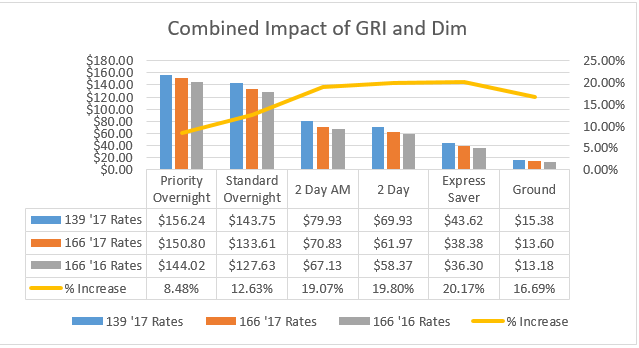 The chart below illustrates how prices change for this shipment beginning with the 2016 rate with a 166 dim factor, adding the GRI – the 2017 rate for same weight, and then adding the cost of the Dim weight – or the difference between 19 and 16lb for 2017. Fig 5. Contribution of Dimensional Weight and GRI to Total Price Increase. UPS, Zone 5, 18x12x12. With smaller box sizes, UPS offers lower pricing than FedEx in 2017. Consider a Zone 5 box measuring 12x12x12. With FedEx, this box will be charged a minimum of 13lb compared to 11lb for UPS, as UPS shipments under 1 cubic foot are not subject to dimensional pricing in 2017. Fig 6. Comparative price increase from 2016 to 2017 FedEx vs UPS. 12x12x12 Zone 5 shipment with actual weight 10lb. The FedEx price increases are more notable due to the higher required bill weight for boxes under one cubic foot (1728 cubic inches). With all these changes, it is harder than ever for shippers to easily compare services and pricing between FedEx and UPS. As all shipments will not be impacted in the same way, it’s important for shippers to understand the differences between UPS and FedEx and thoroughly model the impact of all carrier pricing changes to their unique distribution. David Faour serves as Shipware’s Sr. Director of Strategy & Analytics, following over a decade in Sales, Marketing, and Pricing related roles at FedEx. In addition to being a thought leader in the transportation space, David also has deep expertise in technology with a focus on data science and software engineering, having previously held technology leadership roles at General Electric and at a startup subsequently acquired by Oracle. Mr. Faour has earned an MS in Computer Science from the Georgia Institute of Technology, an MBA from the University of Florida, and a BS from the University of Central Florida. 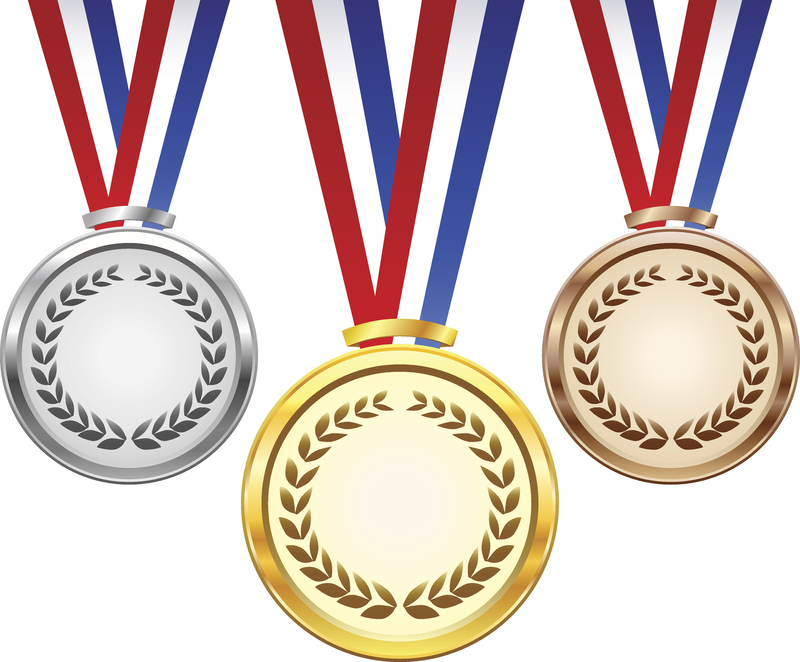 David welcomes questions and comments, and can be reached at 858-879-2020 Ext 107 or david@shipware.com. How Much Is the FedEx Rate Change REALLY Going to Cost Me?